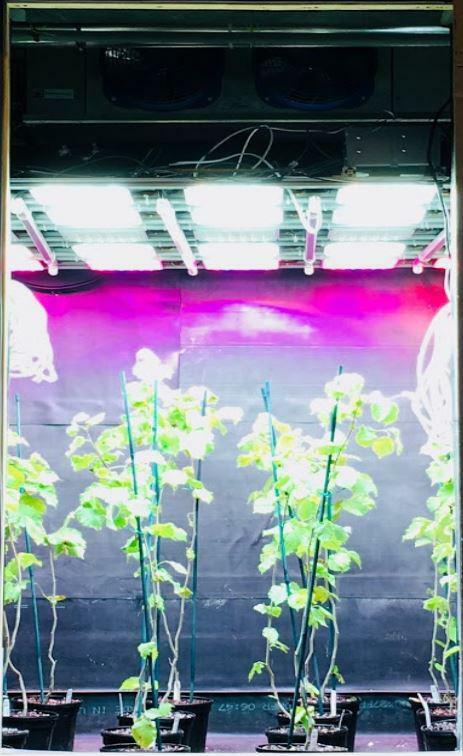 The OpenAg™ Tree Computer is a food computer built to explore plant stress, health, longevity, and productivity across a wide range of crops. 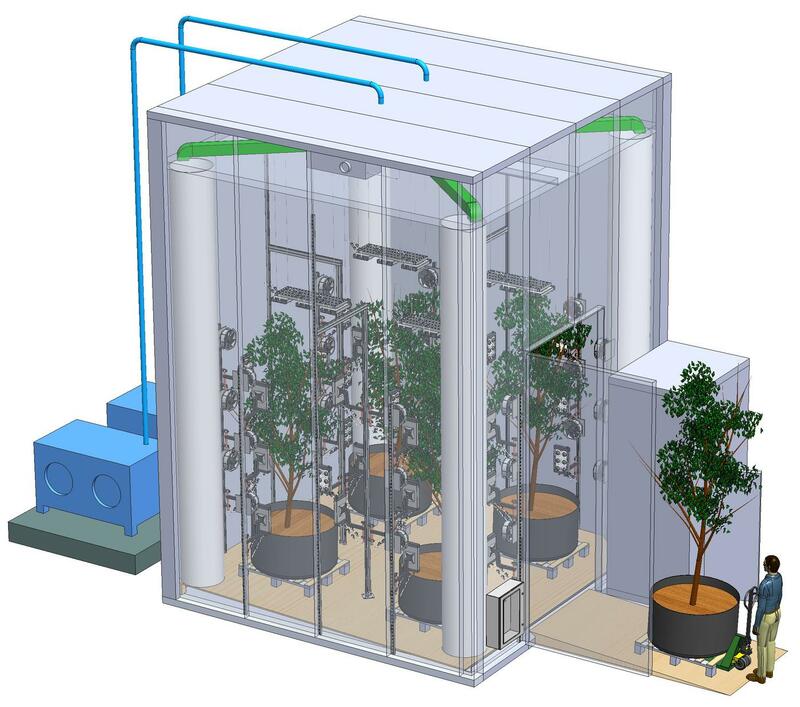 The Tree Computer modulates photosynthetic intensity, spectral range, wind velocity, nutrient levels, soil and ambient temperature, and moisture content in order to replicate growing conditions around the globe. By reproducing actual and predicted weather patterns in near real time, the Tree Computer helps farmers determine what to plant, where to plant, when to harvest, and how to recover from drought, flood, frost, and disease. The Large Tree Computer simulates weather conditions from around the world in near real time. The Small Tree Computer can provide extreme irradiation and intense heat. Experiments drive Climate Prospecting -- identifying the best cultivar for every terrain, weather pattern, and light condition. Damaged and undamaged buds from extreme cold experiments to identify lethal temperatures (LT%) for hazelnut trees.